The new range of Yakamito’s Abyss jig is a clothless jig and has been proving its worth. To prevent the cloth being destroyed on jigs, you can always opt for a clothless jig. These work just as good and will last a lot longer. Do calamari really know what an artificial jig is worth? I think not. 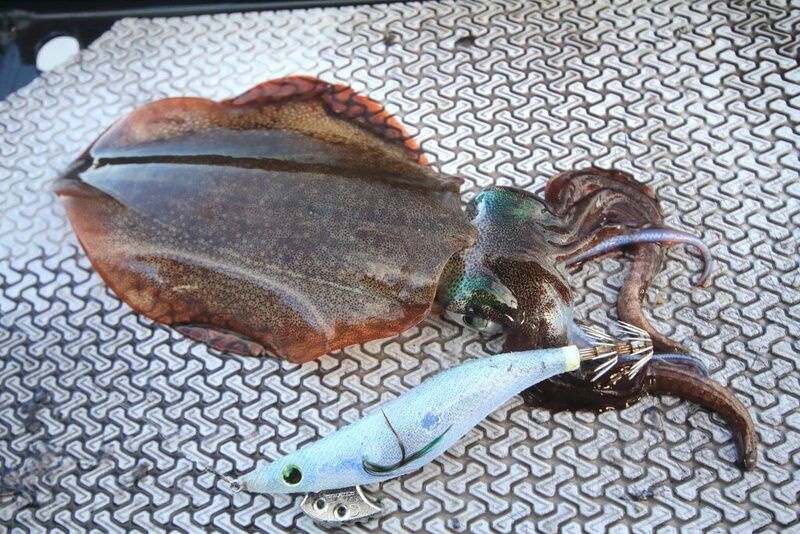 Can calamari tell the difference between a $2 jig and a $30 jig? I think not, so then why are squid jigs worth $20-30 all the rage? I myself am a self-confessed squid jig addict and while jigs under $10 don’t have a place in my tackle kit, I find myself constantly wondering why on earth I have this addiction to buying expensive jigs. Is it the advertising behind the brands? Is it the attraction to the colours? Who knows; for whatever reason it is, my collection can only be described as obsessive. 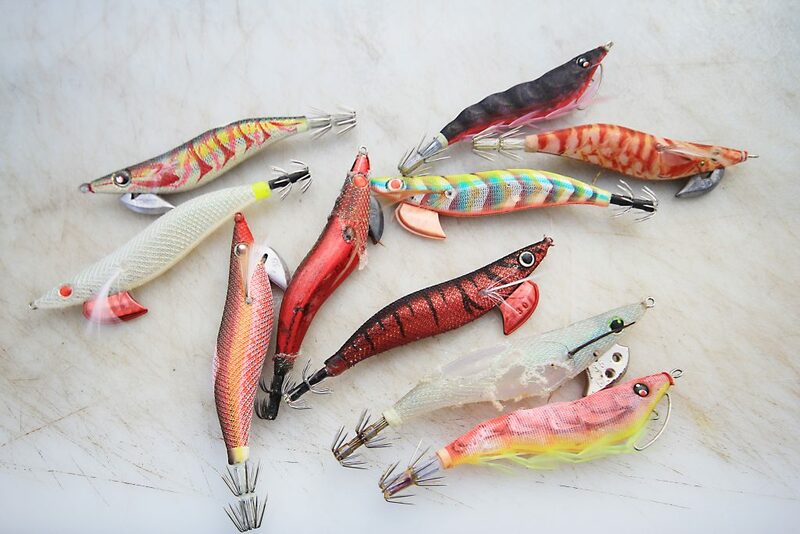 Brands aplenty – there are thousands of squid jigs in the market place, each with their own features to differentiate between them. 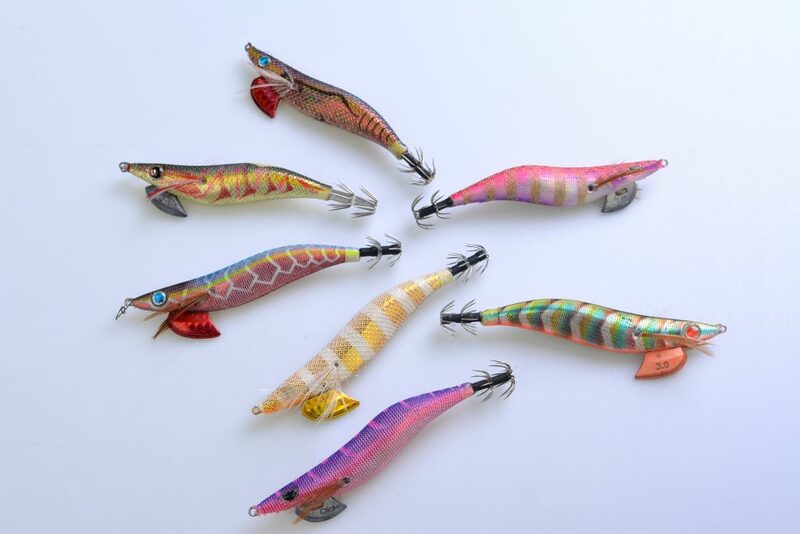 One common fallacy is that cheap squid jigs and even cheap lures for that matter are made in China. For some reason we always seem to associate China with manufacturing cheap products. 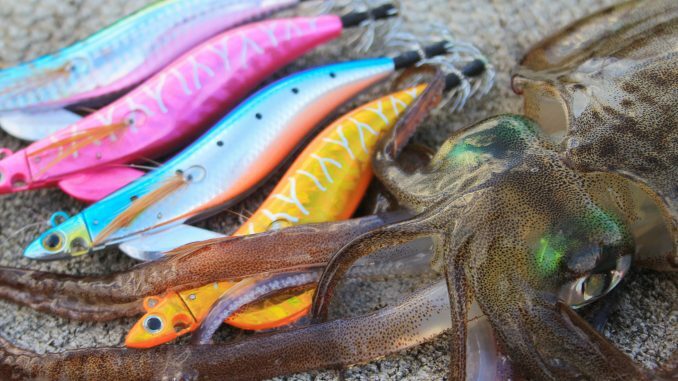 In fact, squid jigs are actually made right around the world in Japan, Vietnam, Korea, China, America, Taiwan, Malaysia, Singapore, Russia, Fiji and many more places. There are a lot of cheaper jigs that are made in China, but there are also plenty of Japanese quality jigs made there too. Different Chinese factories have access to high quality components, which may be manufactured in China or purchased from Japan, and build the jig in China because of the cheaper labour cost. Out of all the components purchased from Japan, crowns and cloth are the bulk of it. Just because the packet says, ‘Made in Japan’ doesn’t always mean that it is 100% made there, and often the bulk of the product can be manufactured in China – the lure and or packaging are assembled in the native country. Don’t be fooled by the advertising. 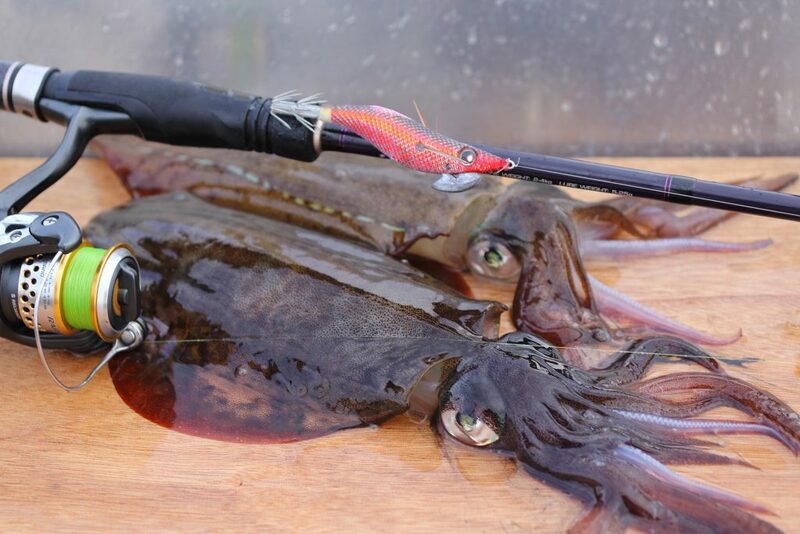 Choosing a squid jig can be a difficult task and all in all they do the same thing. 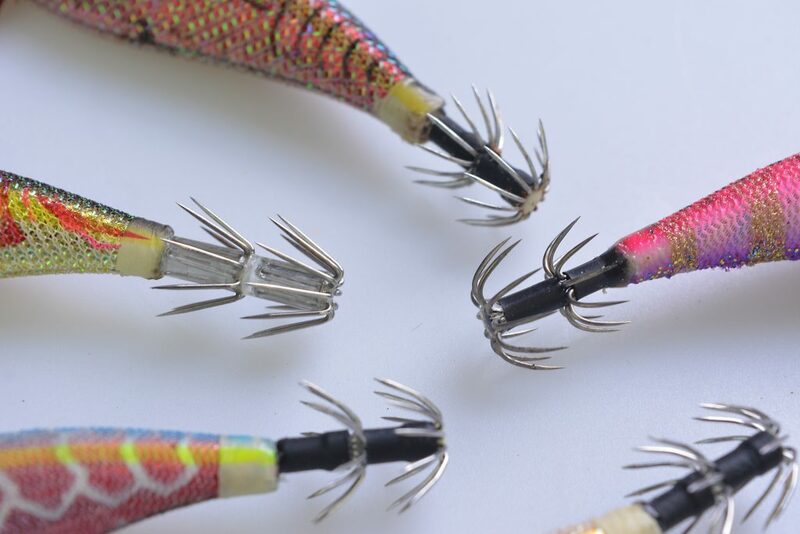 The majority of jigs today all resemble the same shape style – a prawn. However, it is how they are made and what they are made from that makes the difference. For the most part, the bodies are made from polyurethane or metal depending on the jig, which is then coated with a cloth material. 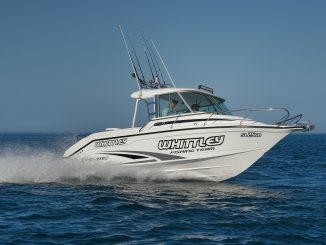 Bodies can vary in weight too, and different body weights allow the sink rate between models vary depending on the depth you fish. This allows jigs to have slower sink rates to maximise the water columns being fished. Jigs can also contain internal rattles to emit a type of clicking sound similar to that of a live prawn. 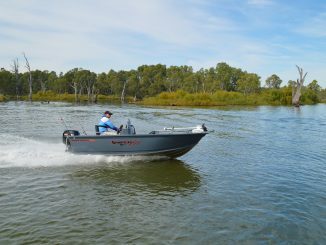 If you fish in 2m of water, a slower sinking jig is highly recommended, and if you fish out deep with current to contend with then a faster sinking jig will get down faster to where the squid might be lurking. Cloths can also vary greatly as there are many types of cloth used and it is the cloth that catches the eye of a preying squid. Some squid jig manufacturers put a lot of R&D into the cloths available as well as developing their own. This is achieved by studying squid and, more importantly, the intricacies about them, such as how they see and how they hunt. This helps to perfect a cloth superior to rival brands. 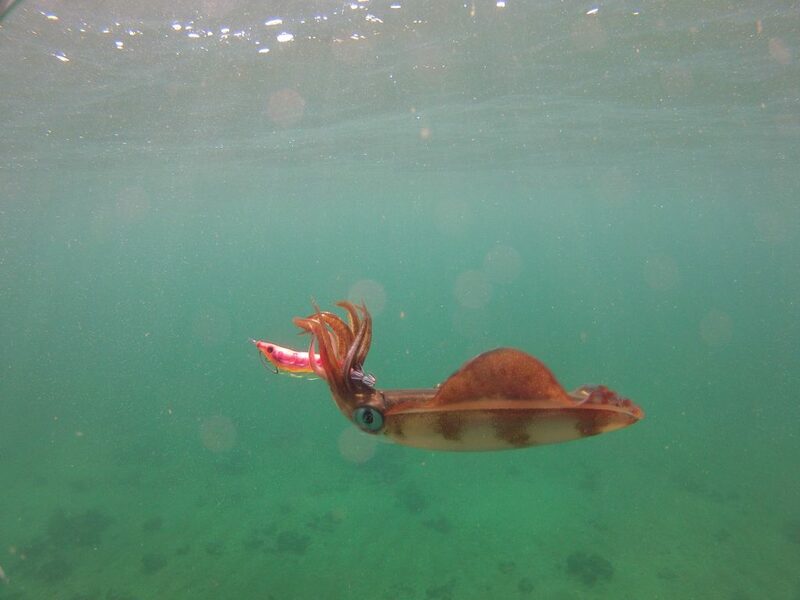 We know that squid are colour-blind and despite having retinas similar ours, they see in monochrome (black and white) as well as seeing UV or ultraviolet light and bioluminescence, which they use to hunt their prey. Shrimp, crabs, prawns and a variety of other crustaceans contain bioluminescence on and in their bodies, which makes it easier for squid to find them. With a lot of study done by squid jig manufactures, incorporating UV and other technologies into their jigs makes them more appealing to squid. Japanese company Yamashita is one such manufacturer that does this with their latest Warm Jacket cloth – the latest technology to be used. In fact, the Warm Jacket cloth is now so effective that other companies that produce squid jigs are buying it from Yamashita to use on their jigs. Other cloths can also contain UV additives to make the jig more appealing to preying squid. 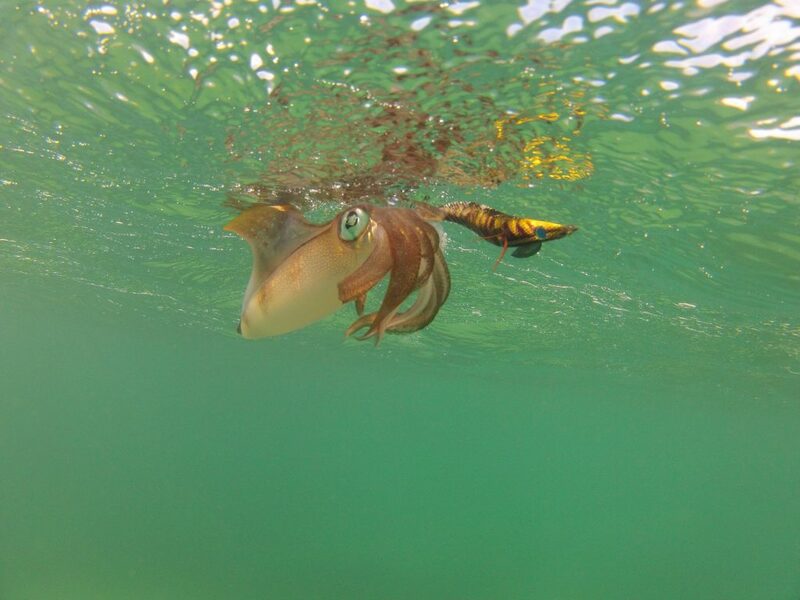 UV is invisible to the human eye, but to a squid it lights up and attracts them. 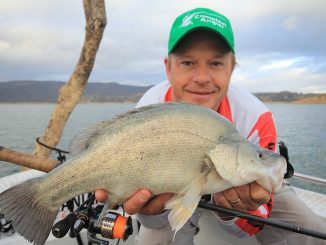 One well-known jig cloth that has been one of the standouts in Victoria is Shimano’s Sephia jig in the white Keimura UV. To see its effects, a UV black light can be shone onto it. 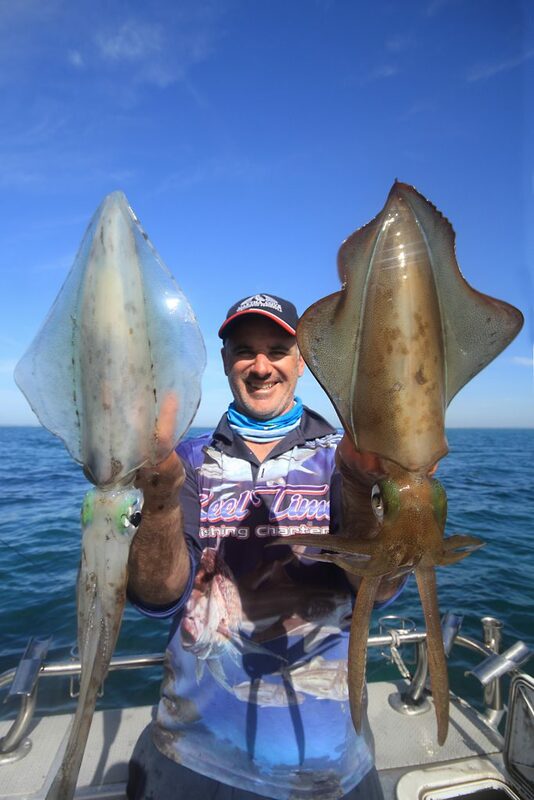 Squid have a heightened sense of vision, which allows them to see a higher level of UV light, hence many jig manufactures are opting to add this into the bodies and cloth of jigs. 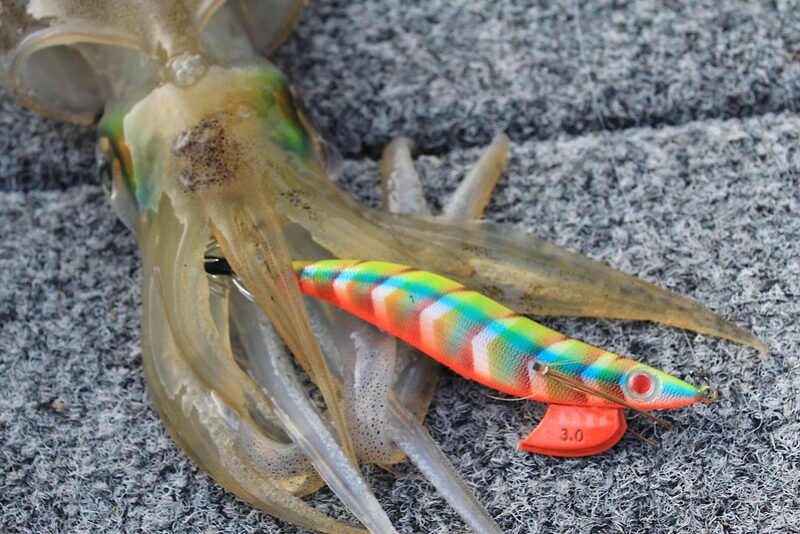 Colours play a big part; more expensive squid jigs also have a lot more varying colours than their cheaper cousins. This is because of the science that has gone into how and what squid see and the development of colour ranges that work more effectively at different times of day. It pays to select the jig you’re going to use, combining both foil colour and cloth colour. For instance, on overcast days or at night, it is recommended you use a jig containing a red or orange foil with black or grey cloth. For a bright sunny day you might opt for a silver foil with a cloth containing more natural colours. Rough guides on colour selection can be found scattered throughout the internet and once you look through a few, you’ll soon discover they are all similar. This is a good thing because it will guide you on the right way to build your jig selection. Crowns are also a very important attribute, as many don’t last being in saltwater. Cheaper jigs, or at least those in the less than $10 range, tend to have basic crowns; these can also be found on the more expensive brands too. 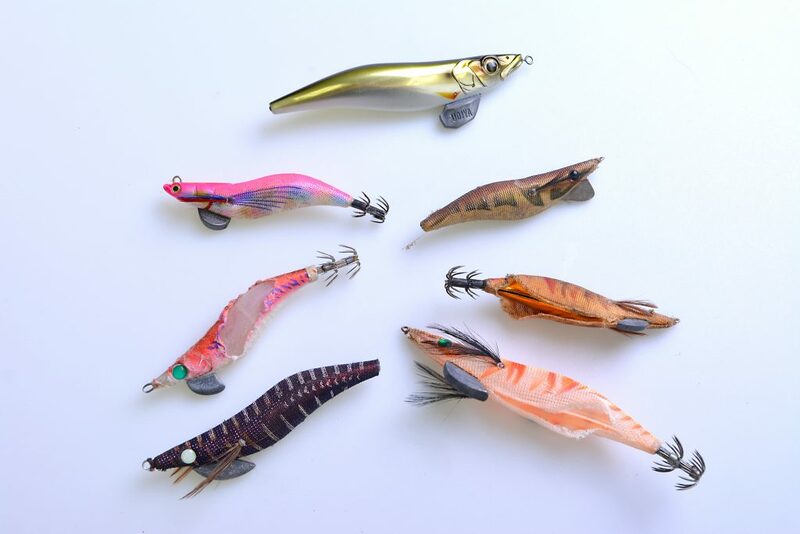 Some are made from ultra-light wire, which, if not cleaned or rinsed with freshwater, will rust very quickly or break off the jig when you attempt to get it back after you’ve become snagged. Ideally, crowns made from stainless steel tend to be a little more expensive, but they last a lot longer and hold their sharp points longer. Don’t go out armed with one jig – go with many. Depending on the time of day, different colours work better than others. 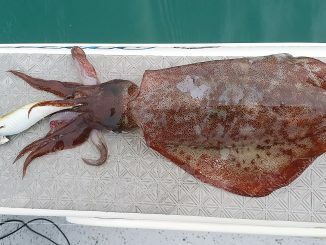 Big calamari are jig destroyers. When they are about, you need to be using jigs that will stand their ferocious attacks. With a lot of study done by squid jig manufactures, incorporating UV and other technologies into their jigs makes them more appealing to squid. Shimano’s white Keimura is a proven calamari catcher and can wear quite quickly. 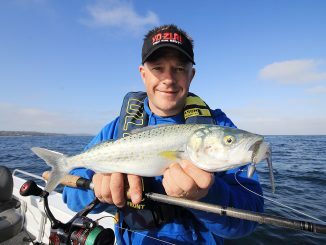 Damage to a jigs cloth depends on where the calamari gets hooked but you can’t always rely on hooking them in the head where damage won’t occur. Some expensive brands have quite fine crowns. If these are not cleaned and washed with freshwater after use, the barbs become brittle and can break off. Jigs with stainless steel crowns will stand the test of time. 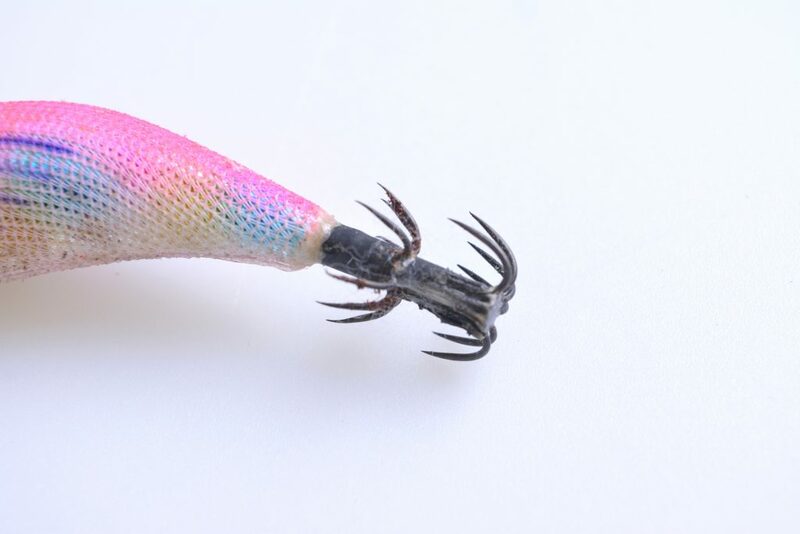 Although the cloth might tear from vicious attacks, you’ll get more longevity from a jig like this. 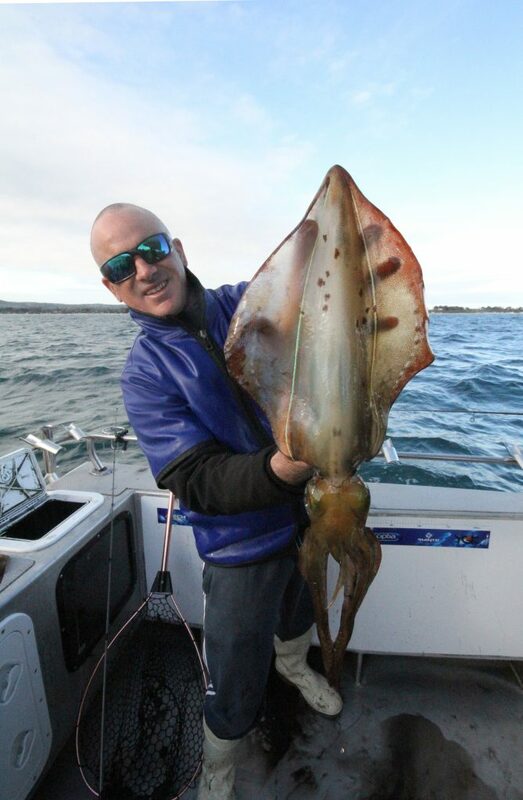 Calamari are vicious critters and destroy jigs to no end. From tearing cloth to ripping off crowns, it’s hard to find a jig that will stand up to them. Although the cloth may tear, stainless steel crowns do last longer than those glued in with graphite shafts. You can always tell a successful jig by its cloth damage, so it always pays to have a few of your favourite colours at hand. Barbs or ‘crowns’ are the most important part of the jig. Cheaper jigs tend to have weaker crowns that might not retain their sharpness. Colour matters, match the right colour and get the results. Overcast days tend to warrant darker coloured jigs. Choosing a squid jig can be a difficult task. Most jigs today all resemble the same shape style – a prawn – however it’s how they are made and what they are made from that makes the difference. 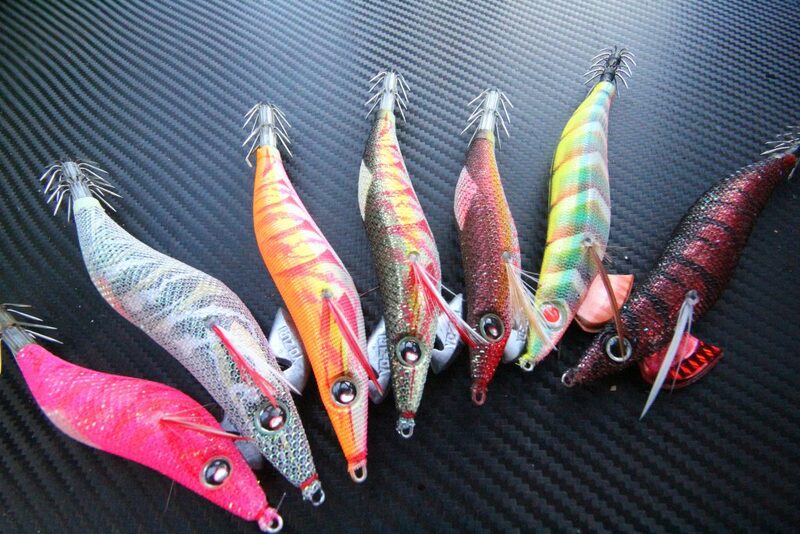 Of course, there is also a myriad of cheaper jigs on the market and some are as low as $1. There is nothing wrong with these, but they just don’t have the same quality built into them to last. 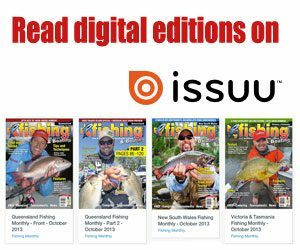 For instance, you won’t find cheap jigs with sink rate variations, nor will you find a cloth that can withstand multiple squid strikes without tearing apart, or even in an extensive colour range for that matter. More often than not, the crowns will deteriorate a lot faster, but they still count for hundreds of calamari caught. 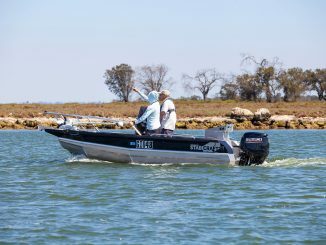 Cheaper jigs still have their place and do catch a lot of squid, however depending on the waterway you fish you might want to opt for something a little more expensive to counteract the area and the time of day. I’m not saying that you should only ever buy cheap jig or expensive jigs; rather, look into the jigs you intend to purchase more and buy the jigs that are applicable to the area and time of day that you fish. Doing this will have you buying a wider range of jigs and each one will be bought to fit a purpose.